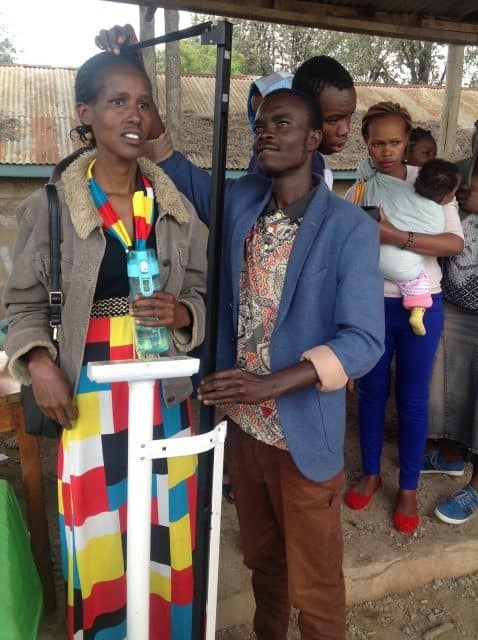 Our bi-annual medical camp was held on a Saturday in April at the Dagoretti City Council Grounds, near our local office. In one day 376 people received medical, dental, and eye care, along with preventative nutrition, sexual health, and hygiene care. Of the 376 attendees, 223 were students of the program, 30 were guardians, 20 were staff members, and the 103 others were relatives and neighbors of the children in the program. Friends of Ngong Road provides ongoing healthcare when needed throughout the year to students, but this medical camp is critical to catching some of the more chronic issues and providing preventative care. Several students were treated for various level of dental needs, and five needed teeth pulled. Among other symptoms treated were bloated and painful abdomens, ear discharges, headaches, slight sprains, upper respiratory tract infections, and peptic ulcer disease. Testing for HIV was also conducted, and education regarding treatment and care for those who are HIV+. Medical camp is an important service we are fortunate to be able to offer our students and community. Medical camp is made possible by our generous sponsors and donors and helps kids learn better when they are healthier. This event is co-sponsored in Kenya with Ngong Road Health Centre, Nairobi Women’s Hospital, St. Joseph Catholic Health Centre, Sunrise Dental clinic, Sai Pharmaceuticals Company, Savani’s Bookshop, and volunteers from Kikuyu and Voi Rotary Clubs and Red Cross. Thank you to the community of Friends of Ngong Road for making medical camp possible. Secondary Graduate Test Results are In! The class of 2016 graduated last December after completing their “big scary school career-end test” called the Kenyan Certificate of Secondary Education (KCSE). The KCSE is a comprehensive exam testing student’s’ last four years of knowledge and is used to determine what caliber of post-secondary school to which a student may be admitted. Even if a student doesn’t typically experience test anxiety, he or she probably does for this one. This year 31 students took the KCSE. Of the exam-takers, 15 scored a composite C- or higher and 16 scored a composite D or D-. one did not pass. Although it may sound low to American ears, the Kenyan system based on the old British system does not have “grade creep” and a “C” is truly average. Further, the KCSE test was thought to be more difficult than in prior years, so grades may be slightly skewed compared to students’ typical performance. Since December, the class of 2016 has been busy at our local office completing a computer certificate course, soft skills training, and preparing their school applications. Four students are expected to join university this year. Six are expected to receive additional government sponsorships for their education because of their test scores. 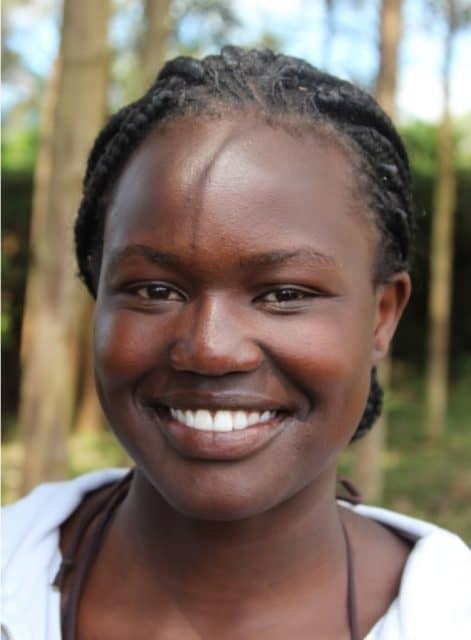 Rose Adhiambo: Rose was granted a government scholarship after scoring a composite B on her KCSE. She attended one of the most prestigious secondary schools in Kenya after having scored 333 out of 500 on her 8th grade exam, the Kenya Certificate of Primary Education, a similar test structure to the KCSE but for 8th graders. Rose is finalizing her post-secondary plans. Rose is sponsored by Steve and Judy Lewis. Francis Githinji: Francis scored a composite C+ on his KCSE and is applying to attend Jomo Kenyatta University to become a veterinarian. He learned about the field through Bimeda Veterinary Supply Company in Kenya, a close supporter and friend to the organization. Francis is sponsored by Andy and Heidi Walz. 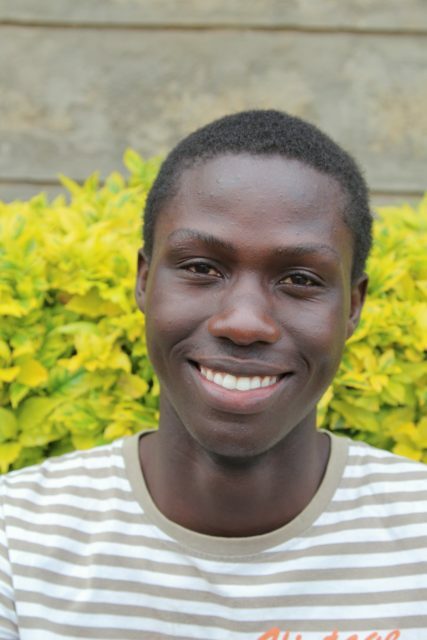 Timothy Mukolwe: Timothy has been a strong leader in the class of 2016. He discovered his passion to lead during our leadership camp and continued to develop his skills as the president of his class. Being a class president in Kenya comes with significant responsibility as students live on campus in dormitories and are held accountable to various chores and tasks by the class president. 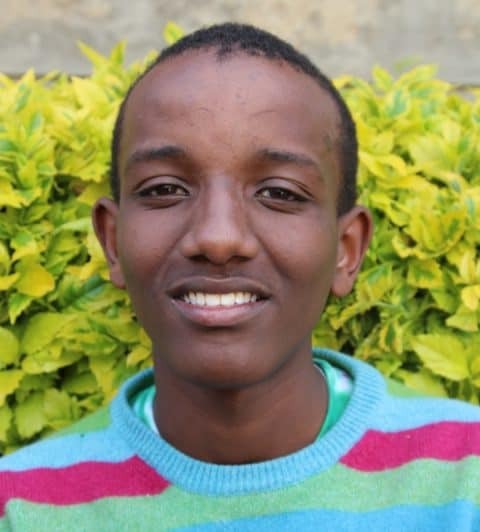 Timothy scored a C on his KCSE, not as high as he had hoped, but he still attained a government scholarship and plans to study environmental management. 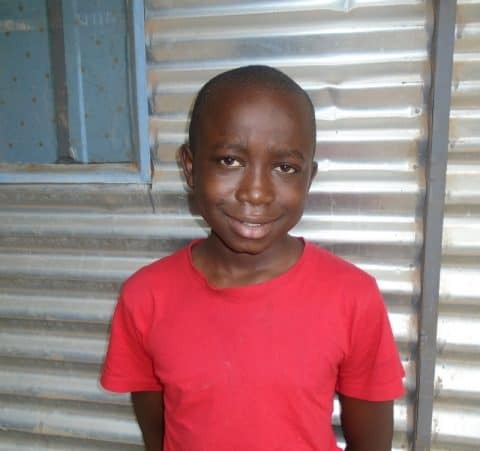 Timothy is sponsored by Francis and Maura Roby. Sponsors of the class of 2016 will receive finalized student plans in September once students have been accepted to the schools and programs to which they are applying. Join us June 4 at Fulton Brewery with Six Still Standing to Help the Kids! Do you enjoy the Fulton Brewery? Do you care about transforming lives through education in Kenya? The band Six Still Standing performed at the 2016 Annual Gathering, and they are at it again helping to make a difference for kids in the program. Join us Sunday, June 4 from 3-5 pm at Fulton Brewery for great local brews and their “Sunday Music Series” with Six Still Standing. All of the band’s revenue and tips will be donated to Friends of Ngong Road and a case of Fulton beer will be raffled. Fun to be had by all! Children are welcome. Invite a friend. See you there! Plister’s Mother’s Dream of Sending her to College is Coming True! Plister Ogolla, sponsored by Marti Morfitt, was one of the first students to join the program in 2007. Her HIV+ mother and five siblings were abandoned by her father when Plister was young. To support the family, her mother did odd jobs when she was well enough. Plister’s mother dreamed of sending her children to college, but she knew it would not be possible as she was struggling to make enough money to feed and shelter her children, let alone pay for regular school fees. Plister slept on cushions on the floor with her sister. Trash was scattered throughout the home with electricity only occasionally available in their iron-sheet home. Plister longed to go to school. She loved being with her friends but the few friends she made at school when she could occasionally attend continued advancing to new grades while Plister remained behind. 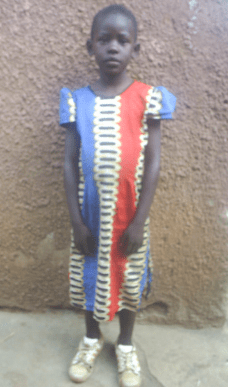 Plister was accepted to the Friends of Ngong Road program along with two of her siblings, and life took a turn for the better for her and her family. Her mother said it was a huge relief that three of her children were being fed and educated through the program. It allowed her to provide food and clothing for her other children. And, it allowed her to have hope that one day one of her children would make it to college and make a better life for their whole family. Today, Plister is on her way to making the dream possible. After graduating from secondary school (high school) in December 2016, Plister joined our post-secondary department and attained a computer certificate course while waiting for her final grades to be released. During that time, Plister used her entrepreneurial spirit and self-reliance principles gained in the program to apply to a government program as a National Youth Service Cadet for a six month training on technical, entrepreneurial and paramilitary skills. She was admitted and upon completion will receive a certificate that will make her significantly more competitive when searching for employment. Plister graduated with a D on her final exam, so not a high score, but she passed! She is another example of a student using other skills gained through the program to make a way for herself. Our mission states that we provide children education and support “so they can transform their lives” in recognition of the fact that the program cannot do it for them. Friends of Ngong Road can only provide tools and training. True transformation is up to the individual, and Plister is a great example of that. Plister will return to the post-secondary program after completing her Cadet training. The future is bright for Plister and her family. The future is bright for many of the children in our program with an investment from people like Marti who care about kids. Great going, Plister and Marti! We left Nairobi on a newly constructed highway on a short trip to visit Ann Warimu (known to us as Mama Joyce, mother of Friends of Ngong Road student, Joyce Warimu). Mama Joyce is one of the talented artisans who makes some of the beautiful handicrafts purchased by FoNR and resold in the U.S. Our trip was an adventure and her inspiring story deserves telling. With our local Nairobi driver following her written directions given to us in Swahili, we arrived at the point where we were instructed to leave the highway and turn onto a dirt road. The only approach to the dirt road was an abrupt 3-foot drop-off from the highway, causing much scraping and screeching from the underside of our car. The ride to Mama Joyce’s house only worsened the farther we drove, as did my mounting trepidation of the journey for our return to Nairobi. After a lengthy 5-mile-per-hour drive up and down many steep hills, we arrived at the short road leading to Mama Joyce’s house. She met us at the turnoff with a smile and guided us on foot to her house. There we were introduced to Mama Joyce’s two goats and many chickens. She invited us into her small cement-block, stick-and-mud home, where we had a chance to learn more about her life, her family, and her handicrafts. Mama Joyce happily told us how much FoNR has meant to her and her family. Her daughter, Joyce, was a student in the FoNR program beginning in 2008, and is one of FoNR’s success stories. Joyce has earned her diploma in hotel and catering, and at age 23, is now working at a restaurant outside of Nairobi. Mama Joyce explained that without FoNR, she would not have been able to afford Joyce’s education, nor her school supplies, shoes, school uniforms, food and healthcare, all of which were all provided by the program. Speaking in Swahili, Mama Joyce told us that even though she was not educated herself, she knows that her daughter’s education will allow her to have a better life. Mama Joyce went on to reveal that the handicraft items she makes and sells to FoNR have helped her support her other children, one of whom is an adult son who is blind. A current hardship for her is the severe drought that is affecting Kenya and surrounding countries. As we drove through the countryside to Mama Joyce’s house on that 90-degree day, we saw the corn stalks dried up in the fields. As we rode along we frequently wiped the dusty red soil from our eyes as it blew into our open car windows. Mama Joyce explained that for the first time she has to buy food for her goats, as the natural grazing materials have all dried up and died. The goats that provide her family with milk, and the chickens that provide eggs, are now becoming an additional expense to feed. When we asked her what we could do to help her, Mama Joyce told us that she would like to find a way to sell more of her handicrafts. She explained that the local Nairobi artisan markets are expensive as they and the city charge fees to participate. And it is also an expense in time and money for her to transport her handicrafts to the city and spend the day away from her family and her animals. Our drive out to her home in the country was perilous in our hired car. For Mama Joyce to get to the city, she has to pay for a motorcycle ride to the main highway, and then pay for a bus (or two) to take her into the city. That is a commute that I would not want to have to make after our experience on this day! Given the many challenges in Mama Joyce’s life that we observed and learned about, we left impressed by her determination to contribute to her family’s well being and inspired by her devotion to the artistry that lives in each of her beautiful handicrafts.